Nature Photography Day is finally here! How wonderful it felt to take a break from packing boxes and to spend some time behind my lens! This image was taken in my backyard in Carmel, Indiana. 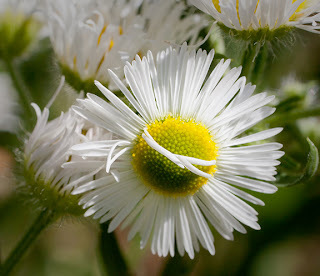 The flowering plant is actually a weed full of tiny little flowers (about 1 cm in diameter) that look like miniature daisies. All of them appeared to have their "faces" turned to the sun. After studying them closely, I noticed one with 2 petals crossed across its yellow center, looking like it was shading its "eyes" from the bright summer sun. I realize it is optimal to photograph flowers in soft lighting conditions, however I really liked the frames I shot in harsh June sunlight to help convey the idea of this tiny flower trying to avoid the hot sun! Now, back to packing boxes!! Nothing is more exciting than going out to photograph and witnessing the unexpected. I was photographing birds from the boardwalk on the Anhinga Trail, when I noticed a spot of bright pink out of the corner of my eye. 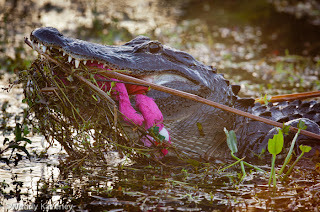 Looking more closely, I saw it was a huge alligator swimming toward me with something pink in its mouth. 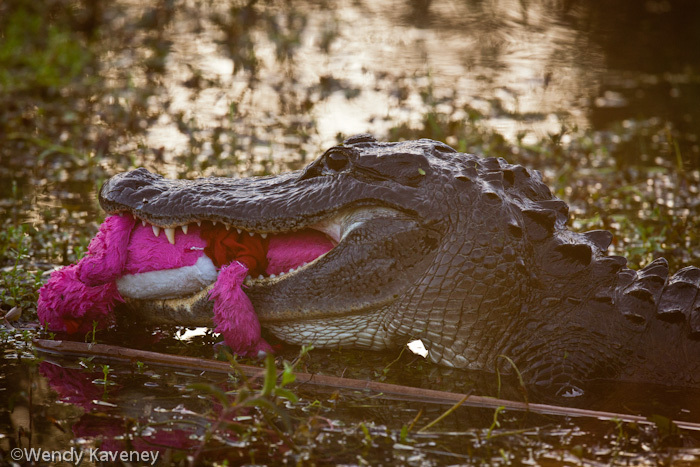 I got very excited thinking I would be witnessing it feeding on a roseate spoonbill. I have never watched an alligator feed in the wild! I just knew I was about to witness a flashback from Mutual of Omaha's Wild Kingdom and capture some dramatic images in the spirit of Nat Geo!! 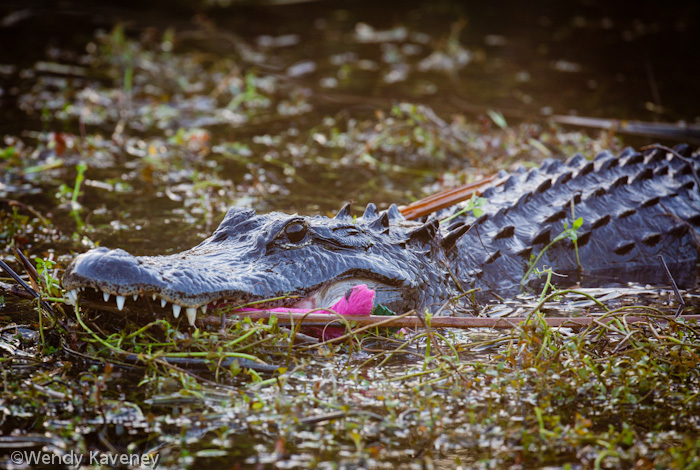 The alligator swam closer and I noticed something shaped like a graceful neck of a bird!! Even closer...and I saw 2 slender pink "necks" in his mouth. 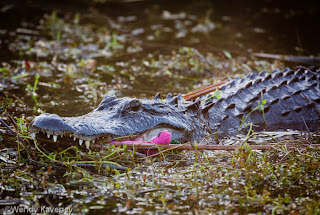 I began firing away, eagerly waiting to see the drama of the food chain in action firsthand! 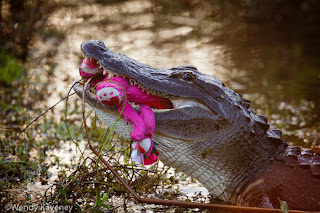 it was a stuffed pink monkey!! My excitement changed to a bit of disappointment and plain curiosity as I continued to witness and photograph what would happen next. 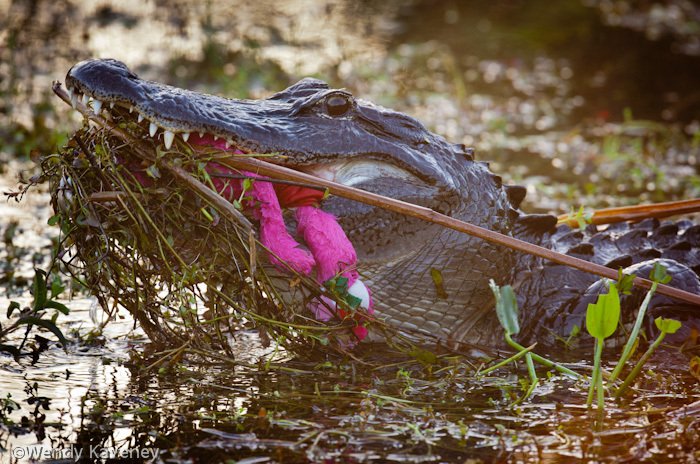 The gator held the stuffed animal in its mouth, tossing its head up and backward, as if trying to reposition it in order to ingest it in one big gulp! 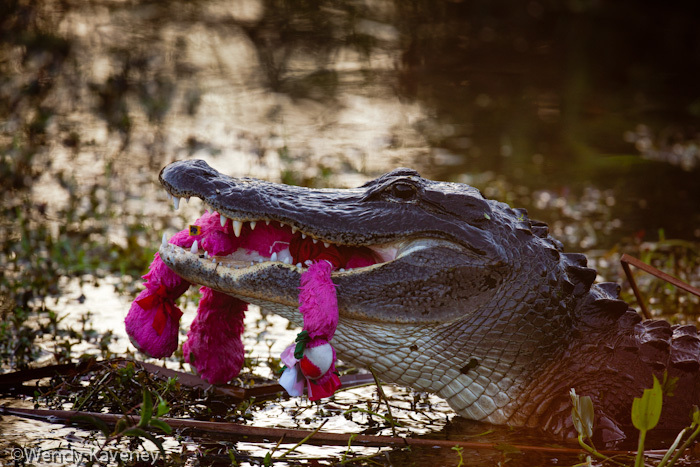 He did this 3 or 4 times without success before settling into a still position with its pink prey clenched in its sharp white teeth. 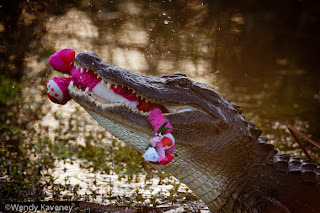 Welcome to my first blog entry of 2012...Happy New Year to all! 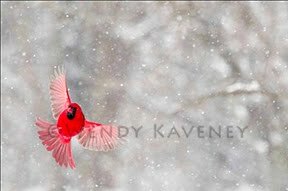 Because it has been so busy around the Kaveney house(s), I have had very little time to devote seriously to my photography. I have been scrambling around behind the scenes, editing and backing up photo files in addition to helping with the planning for our camera club's upcoming spring seminar. While all of these tasks are related to my photography and are quite necessary, they are the least exciting part of my craft. My blog is now two years old, and while I have attempted to post weekly, I find it much easier to write when I am not pressured by my self-imposed weekly timeline. This year, I will blog on a looser timeline allowing my thoughts to flow more freely. Last night, I was laying awake thinking about spending more time behind the camera making images. In the process, I thought back on the many images i have shot over the years since first picking up a camera. I am amazed that my photo library is close to 150,000 images! While thinking about my most popular images, one pops out in the forefront from every click my shutter has ever made: "Fancy Flight." It was the subject of my first blog two years ago and it has continued to be my 'singature' image by which many people recognize my work. I find it so hard to believe that I made this image exactly 10 years ago this month and it is still requested by publications and buyers alike. The staying power of 'Fancy Flight' (or the 'FRB' as my photo friends refer to it) fascinates me. Most recently, it has graced the pages of two 2012 calendars: The National Audubon Society and the Hamilton County (IN) Parks and Recreation Event and Nature calendar. Both publications chose the image for their January spread to start the post-holiday cold winter month with a splash of bright color. (The park district also featured it on the calendar's cover) Fancy Flight is featured on numerous pieces of merchandise and as a fine art print in various sizes at Allposters.com. "I want to be remembered much more for total vision than for a few perfect single pictures." I hope as you peruse the existing as well as upcoming galleries on my web site you are able to appreciate my total vision successfully reflecting his thought.